W. W. Norton & Company, 9780393051728, 304pp. A haunting debut novel that tells of dependence and betrayal among best friends and the man they both love. A sweeping romantic adventure begins when Isabel Grady marries her best friend Anna's lover and follows him halfway around the world to the inhospitable mountains of Nepal. Now, living in a ruined palace, with a husband who disappears for weeks at a time, Isabel struggles to make a new life for herself. But when Isabel learns that a visit from Anna is only months away, suddenly it seems that at every turn her ancient surroundings-and her own past-threaten to crush her hopes for the future. Isabel's new environment mirrors the tensions and passions of her marriage. The dense heat of monsoon, the ruins of a corrupt regime, and the lonely existence of expatriates are vividly rendered in a lyrical, rolling prose that is never hurried but always compelling. 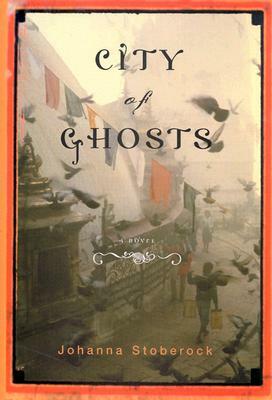 City of Ghosts is a poignant and probing study of love and loss and marks the arrival of a fresh and exciting literary voice.